Tom Clancy's Rainbow Six makes its next-generation hardware debut in the most dramatic installment of the renowned first-person shooter franchise to date. Rainbow operatives take to the chaotic streets of Las Vegas as an escalating terrorist siege in 'Sin City' threatens to take world terrorism to new, uncontrollable heights. The future of global security hangs in the balance as you battle to defend classic Vegas locations and environments like Fremont Street, the Strip, and casinos. Experience Las Vegas like never before - through revolutionary next- generation technology as you work against the clock to keep one of the world's most recognizable cities from utter devastation. New Leader, New Team - Team Rainbow ushers in a new breed of heroes. With a new team comes added responsibility. Tactics play a MAJOR role in your team's success, as each member comes equipped with his own skill set: Logan Keller, team leader and recon expert; Michael Walter, heavy weapons and demolition expert; and Jung Park, long range and electronics specialist. Special Order Location - Experience a new level of squad-based realism as your teammates, Michael and Jung, offer you real-time tactical suggestions like busting through walls or hacking computers, all in a race against time to locate the heart of the terrorist cell. Observe - Plan - Assault - Use tactical planning to maneuver through multiple-path Vegas environments, while utilizing high-tech equipment such as snake cams to strategically 'tag' terrorist targets to your teammates, prior to entering a room. Real-Time Immersion - Prepare yourself for a new level of in-game immersion with real-time mission briefings, all in the midst of the most intense combat ever played. Advanced Gameplay Animations - Motion-captured assault and recon techniques such as fast roping, rappelling, window entry, blind-cover fire, and more. All captured by an experienced Hollywood animation expert. Next-Generation Artificial Intelligence - Next-generation technology brings a higher level of artificial intelligence to Rainbow Six. As you get past the grunts and advance closer to the center of the terrorist cell, encounter deadlier, more skilled enemies who work together as a group to counter every move you make. Customizable Multiplayer Experience - Create your own multiplayer character that evolves as you play online, unlocking new equipment and achievements as you go. Ubisoft Montreal Returns - Rainbow Six is back in the hands of Ubisoft's Montreal studio, creators of the award-winning and highly acclaimed Rainbow Six 3. © 2006 Ubisoft Entertainment. All Rights Reserved. Persistent Elite Creation, the Soldier icon, Ubisoft, Ubi.com, and the Ubisoft logo are trademarks of Ubisoft Entertainment in the U.S. and/or other countries. 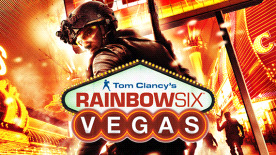 Rainbow Six, Red Storm, and the Red Storm logo are trademarks of Red Storm Entertainment in the U.S. and/or other countries. Red Storm Entertainment, Inc. is a Ubisoft Entertainment company. Microsoft, Xbox, Xbox 360, and Xbox Live are either registered trademarks or trademarks of Microsoft Corporation in the United States and/or other countries. "PlayStation" and the "PS" Family, "PLAYSTATION" are registered trademarks of Sony Computer Entertainment Inc.
A partir de ahora los juegos Uplay se añaden directamente a tu cuenta Uplay a través de Ubisoft Connect, para saber más, pincha aquí.